OK onto the actual music. Because I have not been able to check in quite so much, there is much to talk about in the way of live reviews. Friday night we had the Prodigy whom most agree were a rather impressively energetic outfit (and should probably have been headlining above those chaps from Sheffield); I missed the later part of their set, but am sure it was the same all the way through. I very much enjoyed the Arctic Monkeys, however the other members of the BCB team were less impressed. Their set was a good mix of the first two albums and their new stuff. Alex and the gang did their thing for a hour and a half and finished on 505 which pleased the crowds (and my little dancing soul at that moment). I expect that Arctic Monkeys will be with us for many years to come; somthing fairly pleasing in my mind. For myself Saturday’s line up has been particularly strong. But the first thing I want to mention was on the alternative stage. 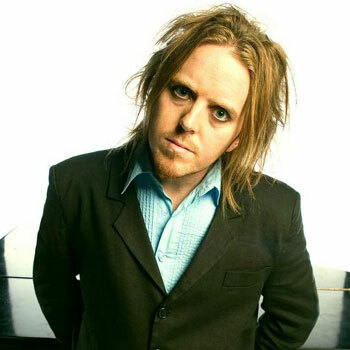 Comedian Tim Minchin was probably one of the most anticipated ‘spoken word’ acts (although all he does is play music). 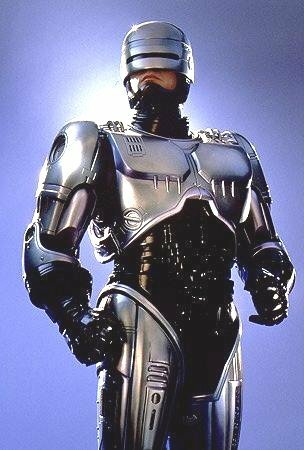 He’s pretty famous in the UK but its surprising how few people are familiar with his work still. He’ss well worth a sniff if you ever get the chance. I suggest youtube as a port of call. I glanced in on Metronony at one point. They seem to still be rocking that modern Kraftwerk image. And it still seems to kinda work. The music’s great and that’s what matters right? The afternoon also provided the first real clash for me. I did quite want to see Vampire Weekend, however the clever money was on Crystal Castles (although a three quarters full tent showed this might not have been the case). Alice Glass, still looks like a new born trying to work out how the world works through the medium of music as she alternates between falling over on stage and throwing herself ‘amongst it in the crowd’ . They played some new songs, the crowd seemed quite pleased with the abrasive noise that hit there ears. The Yeah Yeah Yeahs were introduced to the main stage as “the coolest band in the world”, to which all three band members ran on stage, Karen O sporting some kind of multi-dimensional time suit that had colours that can surely have only been dreamt up by an alchemist. She also wore a studded leather jacked (personalised with KO studded onto the back) that from a distance resembled something you might spot a pearly king in. The crowd, although interested did not seem to explode into pure liquid excitement (hummmm?). By the end of their hour on stage most seemed to have mustered up some sort of dance moves. (I missed Block Party…sorry). “What’s the man say at the end of the video?” the person next to me screamed in reference to Just. I belive the last song they palyed was a new number, the lights went purple and the soothing whine of Thom flew out across the fields. On the local front, Grammatics were probably playing some of their largest gigs yet, I still don’t quite get something about the music they make, but will endeavor to try and understand. I maintain my vow to get them on The show on BCB. Afterwards the party continued long into the night as expected. http://www.flickr.com/photos/officialrandl for lots off good photos from the people here.